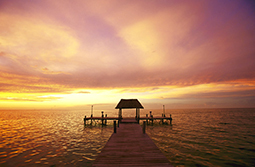 Holbox Island (MEXICO) Yoga Retreat. YOGA IN PARADISE ISLAND: HOLBOX, MEXICO . Includes: Stay at Holbox’s Villa Flamingos hotel sea view, daily breakfast, welcome and fairwell dinner, and 2 yoga classes a day. Join us on this Yoga Retreat in paradise island. Let your focal point be the ocean and a cool breeze across your face be your mantra; Isla Holbox is part of the stunning Yum Balam Flora and Fauna Nature Preserve, with white sand streets, no cars, colourful wildlife, lush tropical plants and a perfect turquoise sea. Our approach is to enjoy yoga in a fun and safe environment. This retreat is great for those who are beginners, but also ideal for intermediate and advanced practitioners who wished to deepen and refine their practice in one of the most breathtaking locations on the beautiful Mexican Caribbean. Comfort and service in paradise! We will stay in the fantastic Villas Flamingos hotel (check it out HERE), just by the beach and surrounded by the natural reserve. The rooms are spacious with private bathroom, two queen size beds and terrace with hammock. Air conditioning, minibar, safe, desk, closet, reading lamp and luggage carrier. Includes: Stay at amazing Holbox’s Villa Flamingos hotel sea view room, daily breakfast, welcome and fairwell dinner, and 2 yoga classes a day. I invite you to this healing retreat, where you will discover that Yoga is much more than the practice of asanas (physical postures), Yoga is Bhakti (devotion), Karma (action), Jnana (knowledge) and much more. After experiencing this amazing Holbox island retreat, you will feel a deeper union with your essence, which is all purity, perfection, and divine bliss. The program of this retreat will include yoga in the morning, and meditation in the afternoon. In the morning, before breakfast, we’ll do yoga and pranayama. Learning to move the body in a wisdom way: creating sequences of postures consciously. In the afternoon, before dinner, we’ll practice meditation learning how to restore balance in the nervous system. Where’s Holbox? How do I get there? Holbox is located northwest of Cancun. It is an island 42 km. Long and 3 km. wide separated from the coast by a salty lagoon. 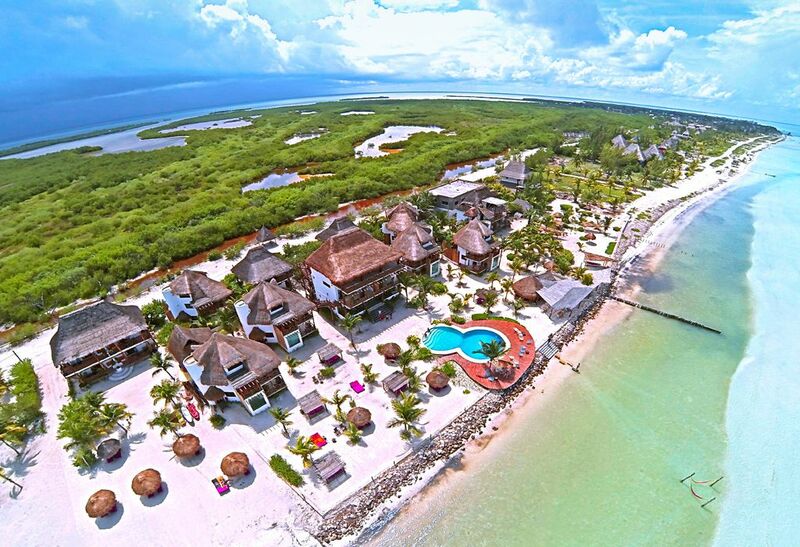 Holbox is within a protected nature reserve . To get there fly to Cancun (CUN). We can give you advise how to get to the island by private or public transportation. ARRIVAL : We recommend to arrive Cancun airport before 2PM on March 3rd. Can I share room if I go alone? Of course ! Many participants come solo and share room. Sharing room is a good option to have an affordable rate and a great opportunity to meet wonderful people. Semi -tropical . March is a warm month (between 25 and 32ºC ). It rarely rains and if it happens, is in the evenings and not last long. Bring loose and fresh natural fibers clothes . Bring your swimsuit for the beach and pool . We recommend you bringing sunscreen and a good insect repellent. Please bring your own yoga mat. ~ If you canceled 30 days or less- before the retreat you will not be able you get back your investment. THIS TRIP IS IDEAL FOR ALL LEVELS OF YOGA AND ANY AGE . Come solo, with couple or friends. Stay in a single or double (sharing) room.